After much complaining about the months of poor weather at the astrophotographer's meetup, I couldn't help but capture the beautiful crescent Moon that distracted me on the drive home. 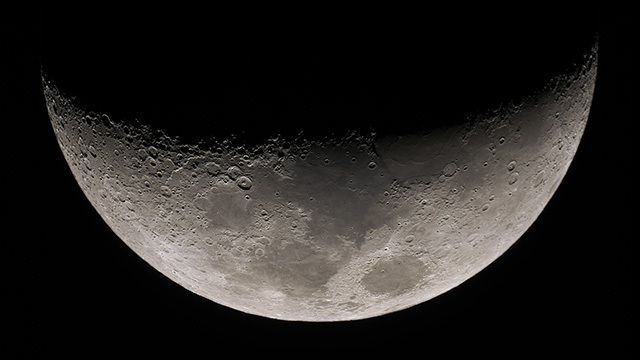 The waxing crescent Moon from Austin at 2018-03-23 02:59 UT. Questar 1350/89 f/15 telescope with Sony a6300 at prime focus. Exposed 1/30 sec at ISO 200. 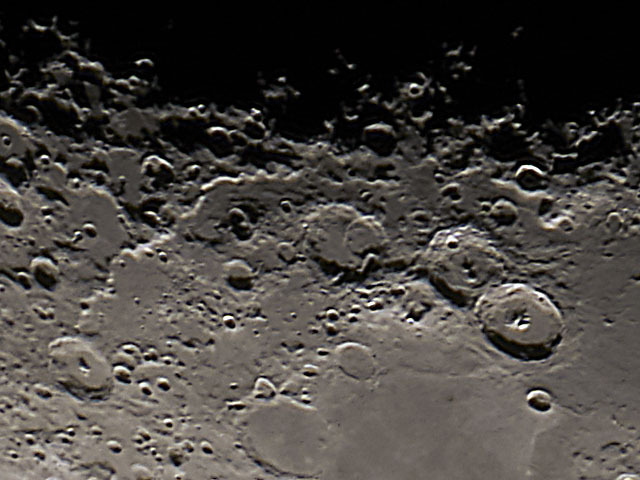 Best 8 of 108 images stacked in Autostakkert 3, deconvolved in Lynkeos, with final exposure and crop in Photoshop. 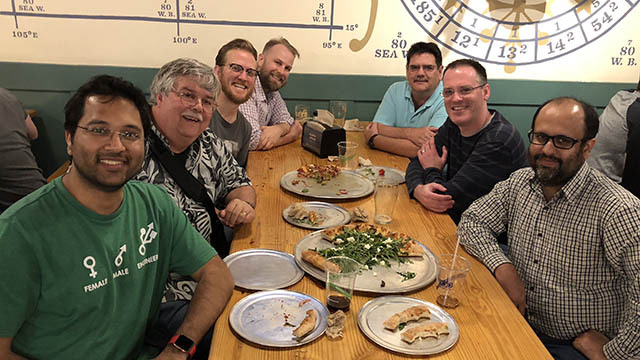 The astrophotography meetup at Pinthouse Pizza was great fun. We usually play separately in the dark, so it was great getting to meet everyone in person: Rathijit, Ross, Will (thanks for organizing this), Telle, Patrick, and Atif. I know there were another half dozen who wanted to be there. It was great sharing experiences, passions, and frustrations.